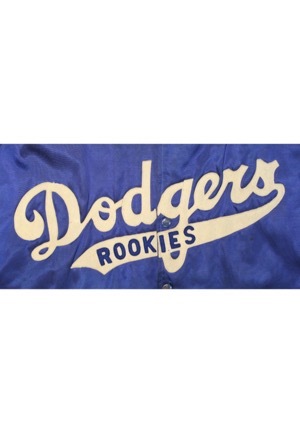 Offered is a rare Brooklyn Dodgers satin "Rookies" jacket. 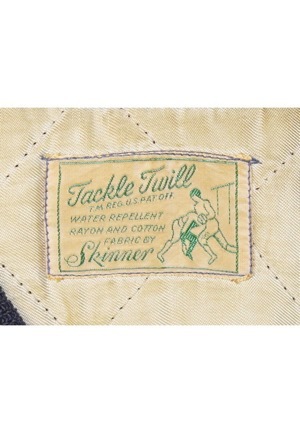 In the rear neck is the Skinner manufacturer’s tag. 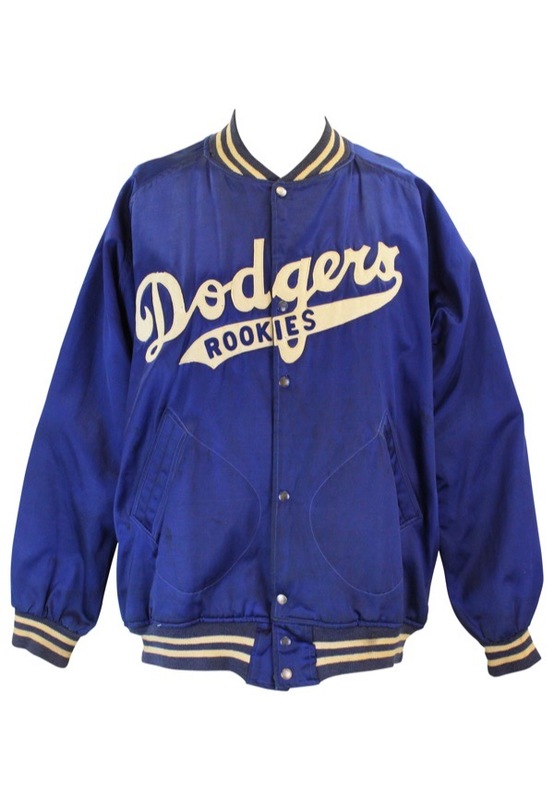 Across the chest reads "Dodgers" in white felt script style writing with "Rookies" sewn in blue felt in the underlining. 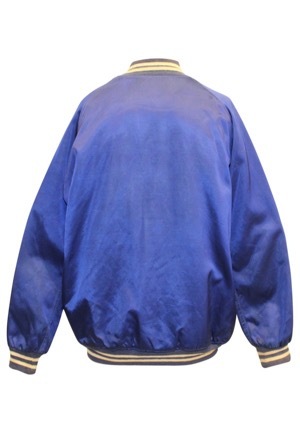 This jacket is properly tagged, was presented to us as player-worn and shows use while remaining in excellent condition.